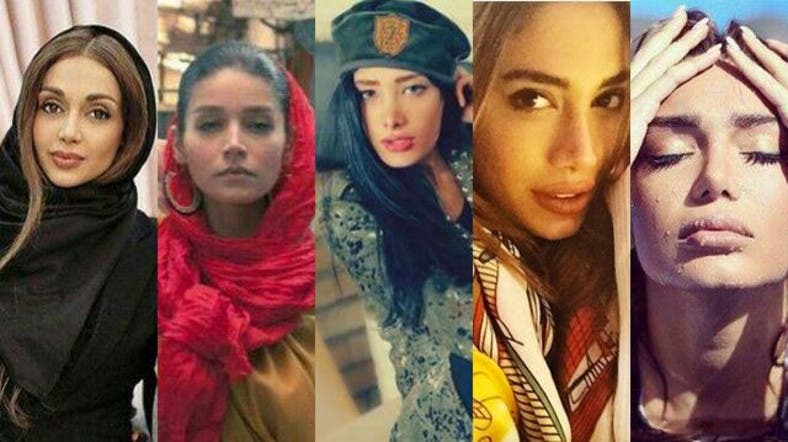 Eight people working in Iran’s fashion industry were recently arrested and formally charged in a wide crackdown led by the Revolutionary Guards. Cases were also opened on 29 other people. Most of the 170 fashion industry workers were also targeted during the past six months and interrogated, an informed source told the International Campaign for Human Rights in Iran. Women in Iran are legally required to wear a hijab in public and this law is strictly enforced by morality police. But a campaign opposing this and other repressive laws against women has been building in recent years and a number have chosen to share their hijab-free selfies on Instagram and Facebook. Unlike Facebook, Twitter and YouTube which remain blocked, Instagram is accessible to Iranians. Elham Arab was one of the women. Wearing a black chador over her head, she told a hearing at the Iranian Revolutionary Court that she “now regretted entering the fashion business” and described it as a “mistake”. She is among a series of models caught up in a crackdown by the Tehran authorities against those who post images of themselves on Instagram and other social media sites. Mowlavi is a popular model in Iran who promotes fashion through tradition. She had received international spotlight a few years back when her photo shoots in the cities of Tehran and Kashan were featured in the American FSHN Magazine. Her account on Instagram seems to have been deleted after pressure from the authorities. Golrokh is an Iranian model and make-up artist who is known in Iran for sharing photos without a hijab. She has since left the country with her boyfriend and reportedly lives in Dubai now. Behboudi identifies as a model and is a graduate of Chalus Azad University‎ living in the Iranian capital Tehran, according to her Facebook page. Although Claudia Lynx does not live in Iran anymore, she was born in Tehran to a Persian father and Mother. Her family of four moved out of Iran to Europe when Lynx was only three months old, and have never returned since. She amasses a huge social media following, with nearly 96,000 likes on Facebook and 28,000 followers on Instagram. A Persian model who has more than 28,000 followers on Instagram. Her account was set to private following last week’s crackdown. Amiri’s account (@sara.amiri190) has since been deleted following the crackdown. Khaksar is an Iranian model from Shiraz, amassing nearly 18,000 followers on Instagram. Like other models, she has now since set her account to private.